TBL and SNO have set a milestone being a part to first ever women's IPL T20 match. The Supernovas won the toss and chose to bowl first. They invited the trailblazers to bat first and totally stunned them with their disciplined and controlled bowling attack. Australia’s Megan Schutt struck twice with the new ball, removing Healey and Beth Mooney cheaply to destroy the Trailblazers’ top-order. 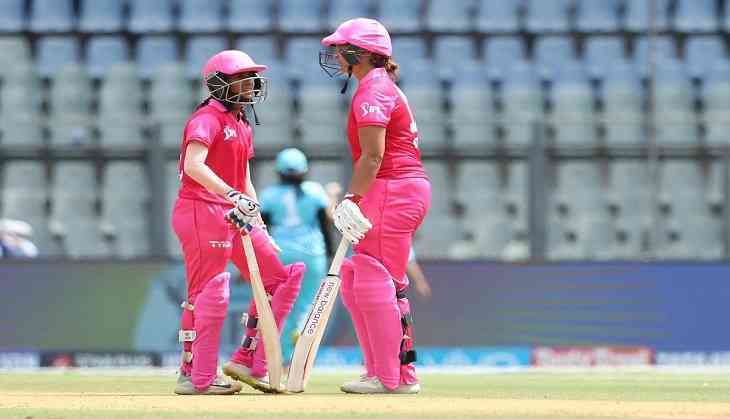 Looking at the surging popularity of the women's cricket, BCCI had recently announced this IPL match as an effort to boost women's cricket in India in the shortest format of cricket. "The IPL is the biggest and most popular league in the world and it has been a long-time endeavour to have a women's league that can match the exuberance of IPL. Mithali Raj, Jhulan Goswami, Harmanpreet Kaur, Smriti Mandhana and Veda Krishnamurthy among others rubbing shoulders with foreign stars will be a unique experience and something that we have not witnessed here in India." With an eye on the growing popularity in the country, the women's cricket is gaining ground and this wave may soon pave way for the women IPL.